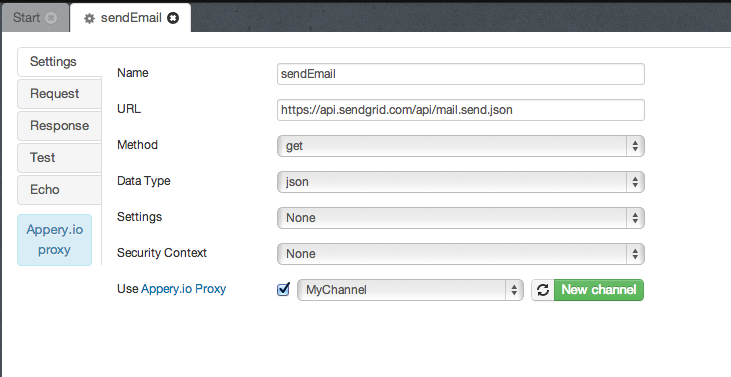 Setting up REST services in Appery.io is super fast, and using the popular SendGrid API to send emails is no different. Here is an example setting up a REST service to send emails, all done in about four minutes. Setting any cloud API is as easy. One last step is to define the service response. This can be done automatically from the Test tab by clicking Automatically Create Service Response button.